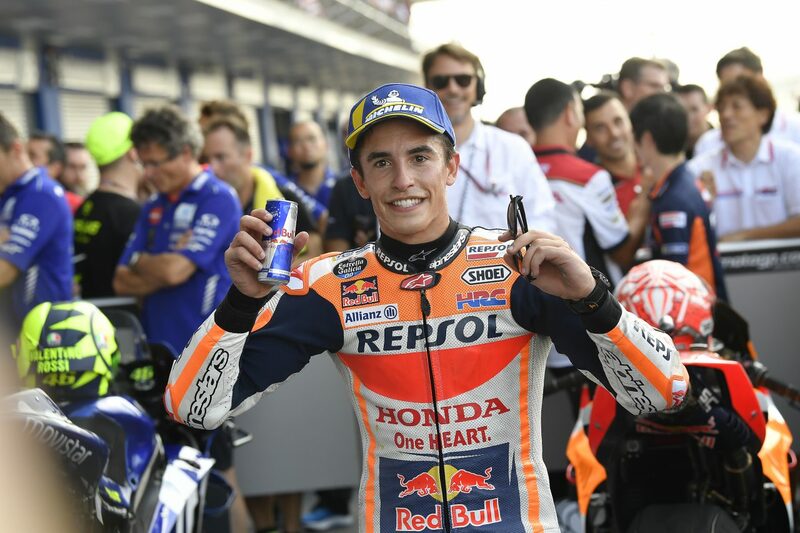 Marc Marquez of Repsol Honda beat Andrea Dovizioso of Ducati to win the inaugural MotoGP Thailand at the Chang International Circuit. Thi was his seventh win of the season. 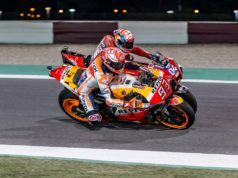 After a tight duel between the championship leaders, Marquez took the lead on the final corner to seal victory, 0.115 seconds ahead of Dovizioso. He extended his championship lead to 77 points.Yamaha-rider Maverick Vinales finished third ahead of team mate Valentino Rossi. Marquez started on pole after winning his 50th qualifying on Saturday. But he relinquished the lead after a poor early lap, allowing Rossi and Dovizioso to pass. 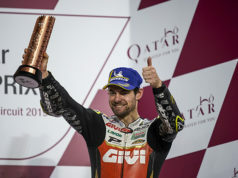 Veteran Rossi’s challenge soon fell away, leaving Dovizioso to battle Marquez alone. Ducati had tested poorly at the track in February and it looked gloomy for the Italian as Marquez bided his time to strike. With four laps left, Marquez pounced and snatched the lead. But Dovizioso bravely wrested it back quickly to kick off a breathless series of overtakes. Marc appeared to have struck a decisive blow in the penultimate lap but Dovizioso again stormed back to take the race into the final corner. But the champion had a better exit of the corner and retook the lead to win again.